The financial crisis, which originated in developed country financial markets, has spread to developing countries and has turned into a global financial meltdown. Governments and Central Banks--though taking many and costly measures--seem powerless to stop the crisis. 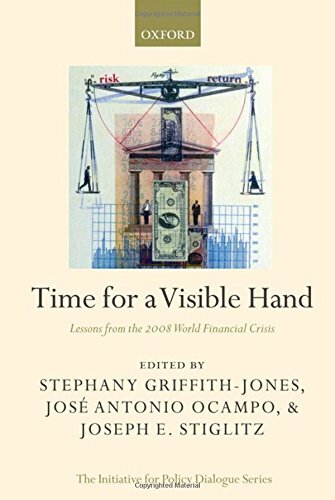 In light of this major global crisis that is hurting economies across the globe, this highly topical book focuses on the transparency and regulatory measures that become desirable after the current crisis; the implications of both the crisis and regulatory discussions for developing and developed economies; and reforms in the global financial architecture that might make the global financial system more stable and more equitable. Given the depth of the current financial crisis, the world economy is in unchartered territory. As a consequence, this book aims to systematically understand current major problems, both in the financial system, its governance, and in its links to global economic imbalances. It will try to explain how both market actors and regulators behavior, as well as how the prevailing ideology of extreme financial liberalization without sufficient regulation contributed to the financial crisis. The book presents radical, but specific and politically feasible, proposals to try to ensure a more stable, equitable and growing world economy. Contributions are written by leading authorities in their field, with a mixture of very senior national--as well as international--policy makers, practitioners from the private sector, and leading academics; contributors come from both developed and developing countries.